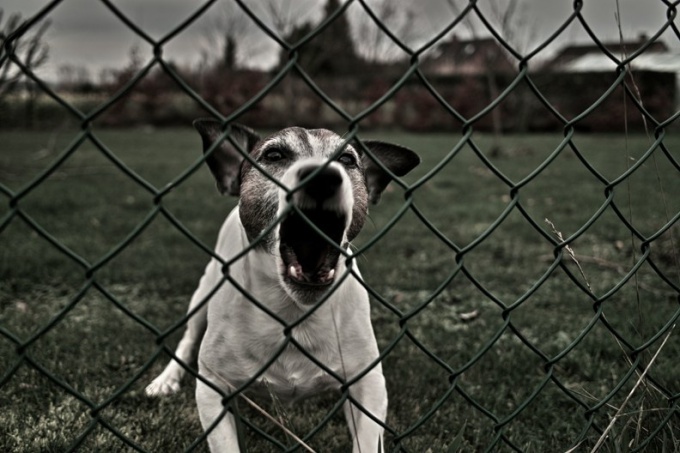 There are many recommendations on how to protect themselves from aggressive dogs. Experienced dog trainers can give advice on how best to capture pounced on the dog and where to strike. But such resistance must have a significant physical training. Those who do not have combat skills, but still want to protect themselves, more suitable repeller. Dog repeller can be described as a gun that shoots an ultrasonic signal. The height signal is such that the human ear does not perceive it, but presumptuous the dog retreats, tail between his legs. Modern repellents for dogs are small, so that it can be easily carried in a pocket of trousers or coat. If you know that you have to go through a dysfunctional section of the road, for example, a vacant lot, where they like to hunt stray dogs, turn on the repeller in advance, and any flock will not approach you. The easiest option repeller is going on a single chip and five transistors. In turn, the infrasound generator is executed on the logical elements, resistors and capacitors. It is a symmetrical multivibrator, which generates pulses with a frequency of 1.5 Hz. The second symmetrical multivibrator is ultrasonic generator, the frequency of the pulses is in the range of 20 kHz, and periodically increases four times. Periodic increase in the frequency provides an Assembly consisting of a resistor, capacitor, transistor and diodes. Ultrasonic vibrations generated at the output pins of the chip are a small power. So they intensify a push-pull bridge amplifier made on transistors. As the emitter load for this amplifiers needs to be piezoceramic transducer. Ultrasonic vibrations are activated after pressing the button, which is the power switch. The power supply circuit of the chip must be protected from accidental polarity reversal of the battery by a diode. Basic set-up of the dog repeller is mainly in the selection of the resistors. The operation of the device can be controlled at the hearing.